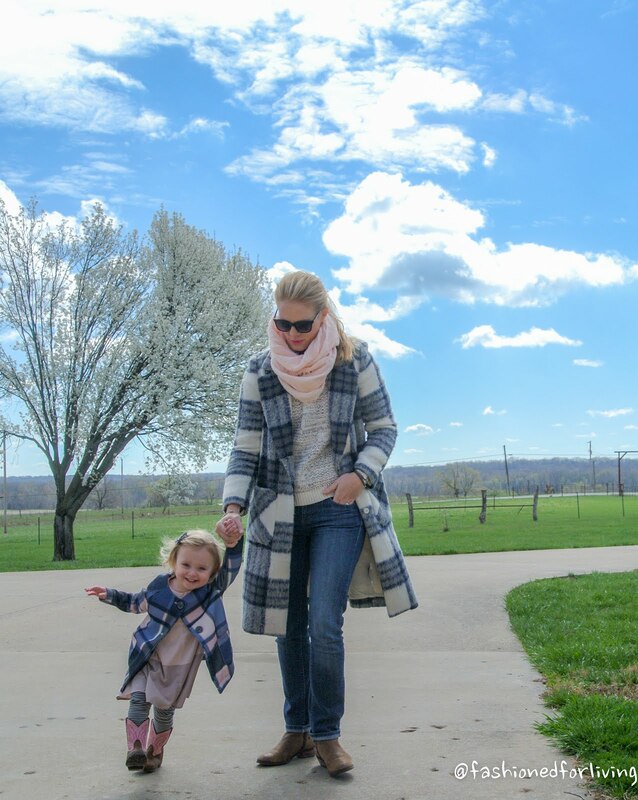 Fashioned For Living: mother daughter spring outfit: plaid coat. pink and blue. 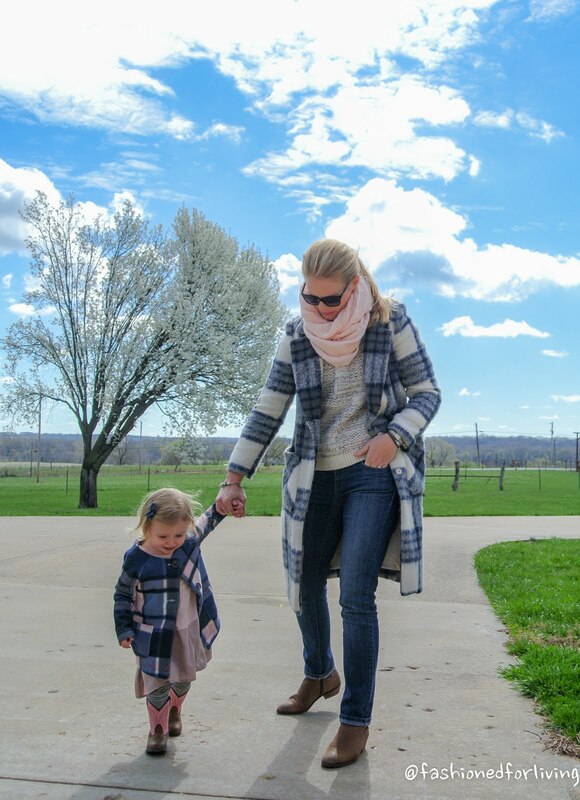 mother daughter spring outfit: plaid coat. pink and blue. 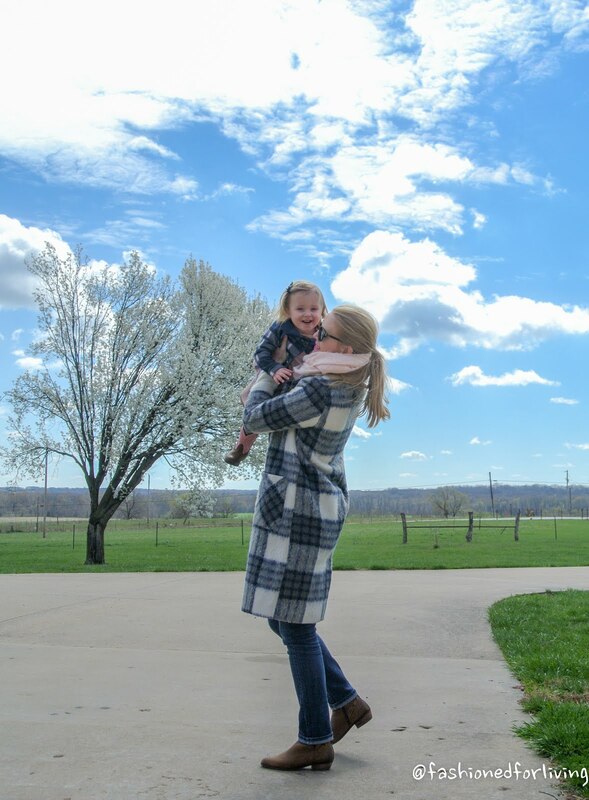 Love matching with my baby girl! 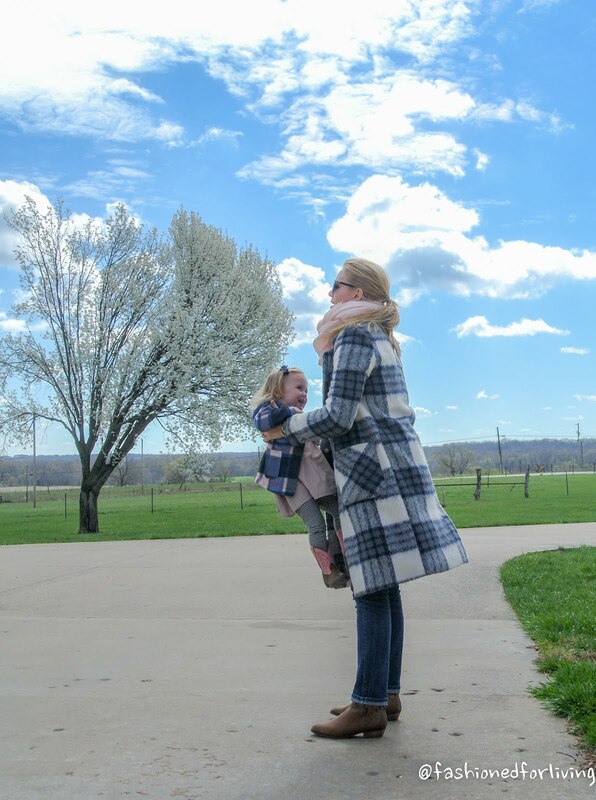 Having similar coats is a easy way to go together without being too matching. leggings - Target - Her exact pair looks sold out on line, but may still be in store. 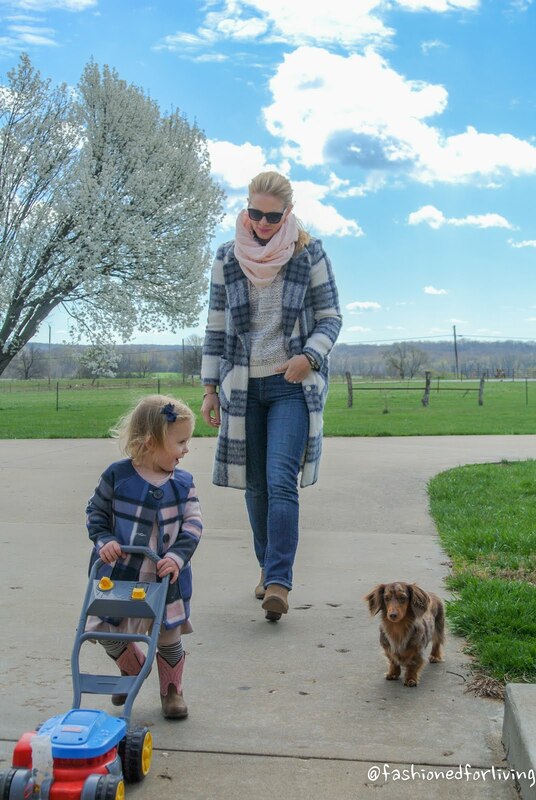 floral leggings - Old Navy - Many cute options. 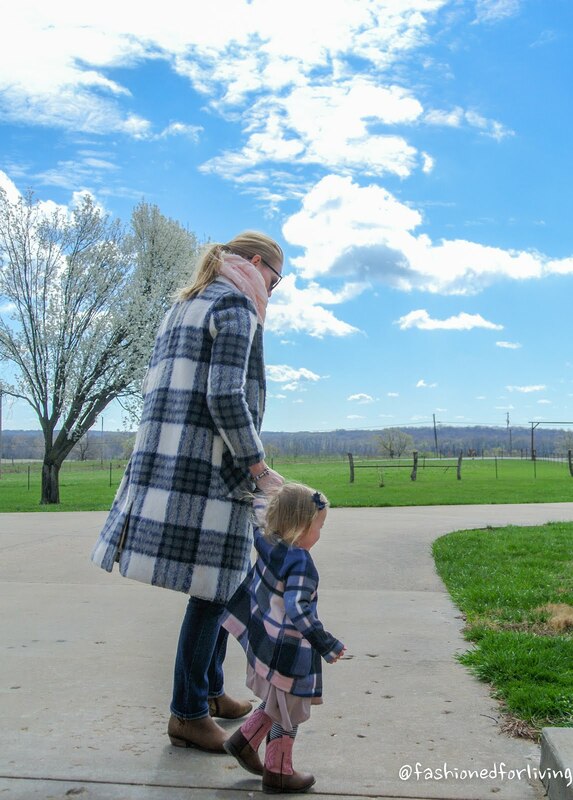 cowboy boots - Smoky Mountain - Just got her second pair of these. pink scarf - Forever 21 - I have this scarf in another color and love. My scarf is from Walmart. sweater - Forever 21 - My sweater is a recent purchase from Banana Republic outlet. Linked is a similar cute in a pale pink or navy option. leather booties - Nordstrom Rack - Only a couple sizes left.